Chakka is jackfruit in Malayalam and Pradhaman is kheer/Payasam in Malayalam. 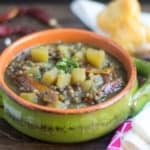 There are zillion varieties of pradhaman recipes. 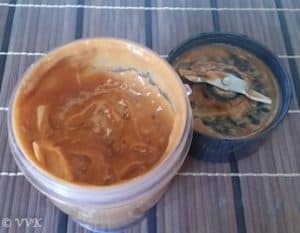 Traditionally chakka pradhaman is prepared with chakka varatti or Jackfruit preserve, which is a separate recipe on its own. I have tried the chakka pradhaman at my friend’s place during my college days. 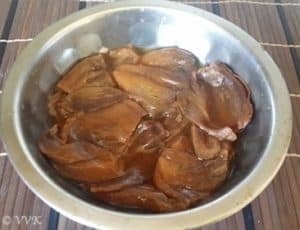 Instead of chakka varatti, I wanted to try with fresh jackfruit and when I was surfing, I stumbled upon kothiyavannu and found the recipe with fresh jackfruit. So took that as a based and tried the recipe with my own variations. 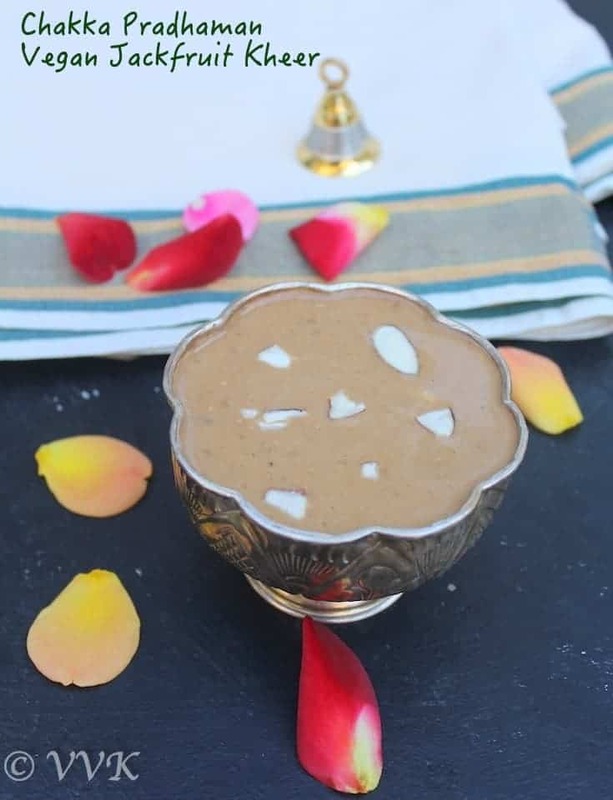 The color of this payasam depends upon the color of the jaggery. The used dark jaggery variety and also I pressure cooked the jackfruit and let it cool down for 4 to 5 hrs. That also caused additional dark color but no change taste wise. Infact it stayed pretty good for two days when refrigerated. Wash the jackfruit and clean them. Remove the seeds and also the inner inedible layer. Chop the fruit into small pieces (optional) and pressure cook them by adding 1/2 cup of water for 4 to 5 whistles. Let it cool down and grind into smooth puree. If using stored bought can, shake it well and set aside 1 cup of thick coconut milk. If preparing fresh, for one half of grated coconut , add 1 cup of luke warm water and grind it. Squeeze out the milk and this is the first and thick coconut milk. 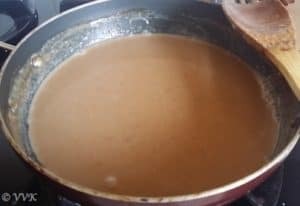 Grind again by adding 1 cup of water and extract the milk and this is the second and thin coconut milk. 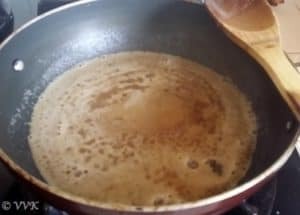 You can add 1 more cup of water and grind again and extract the 3rd milk which will be very thin. For this recipe, you can use 1/2 cup of third milk and 1 cup of thick first milk. 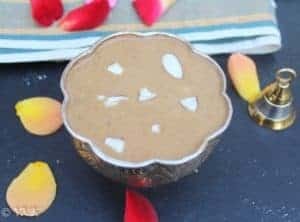 Grate the jaggery and remove any visible impurities if any. Chop fresh coconut into small pieces. 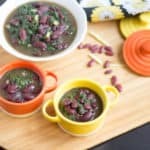 For this recipe we need about 1 tbsp. Heat a heavy bottom vessel and add the third coconut milk or the thin milk. 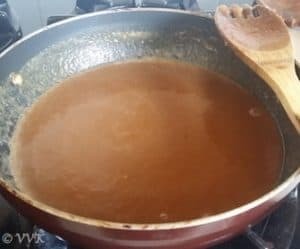 Let it simmer and add the grated jaggery. 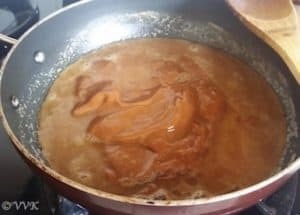 Once jaggery melts, add the jackfruit puree and mix well. Bring it to boil. 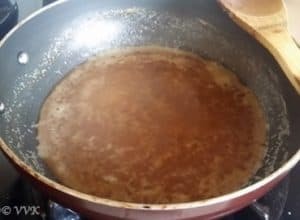 Once it starts to boil, reduce the heat and add the elaichi powder and dry ginger powder and mix well. 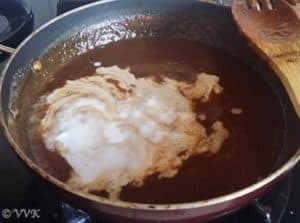 Let it simmer for 3 to 4 minutes. Add the thick coconut milk now and mix well. Let it simmer for just a minute and turn off the heat. 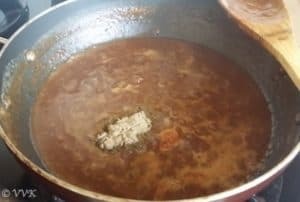 Now in a separate kadai or tadka pan, heat the coconut oil or vegan butter or ghee and add the raisins, cashews and coconut pieces. Fry them until golden brown and add it to the pradhaman. That’s it. Yummy chakka pradhaman is ready. I used ripe jackfruit. If you are using the crunchy semi ripe ones, adjust the jaggery accordingly. 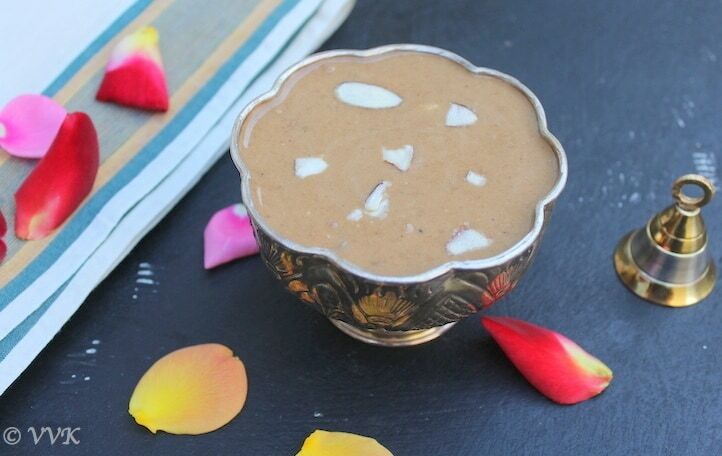 If you are not vegan, along with jaggery condensed milk can be added too for additional richness. Adjust the dry fruits according to your preference. 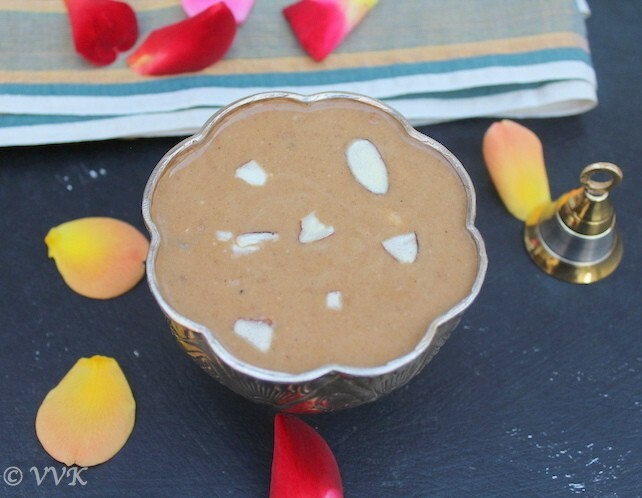 Chakka Pradhaman – Jackfruit Kheer or Payasam is a traditional sweet delicacy from Kerala which is prepared with jackfruit and coconut milk. Now in a separate kadai or tadka pan, heat the Coconut Oil or Ghee or Vegan Butter and add the raisins, cashews and coconut pieces. yumm. So only the jack fruit seeds are used and not the jack fruit? Pl clarify as I have both jack fruit slices and the seeds ! Thanks for pointing it out Harini. corrected it. I haven’t tasted it yet…too good!! One of my favorite payasams !! 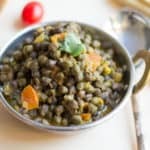 Awesome recipe Vidhya, will try this cooked version soon. 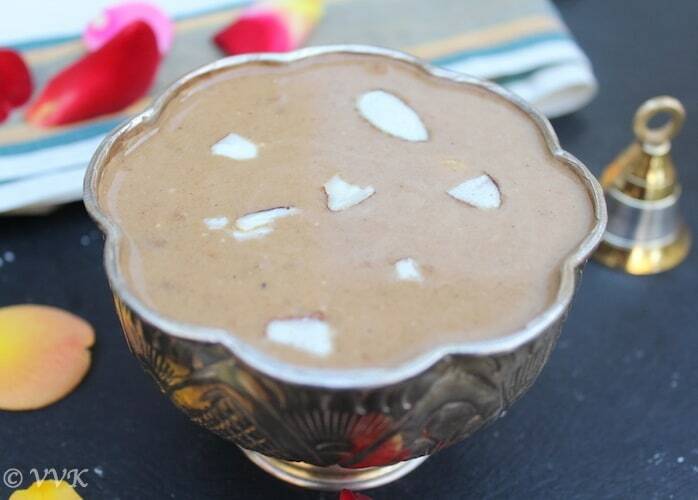 We also make this payasam but with uncooked and ripe jackfruit. Oh wow.. I will also try the uncooked version. Thanks Vanitha. Chakka pradhaman looks so delicious! You have explained the process very well.. Wish I could taste some.. Thanks a lot Anu. Please do try it out. 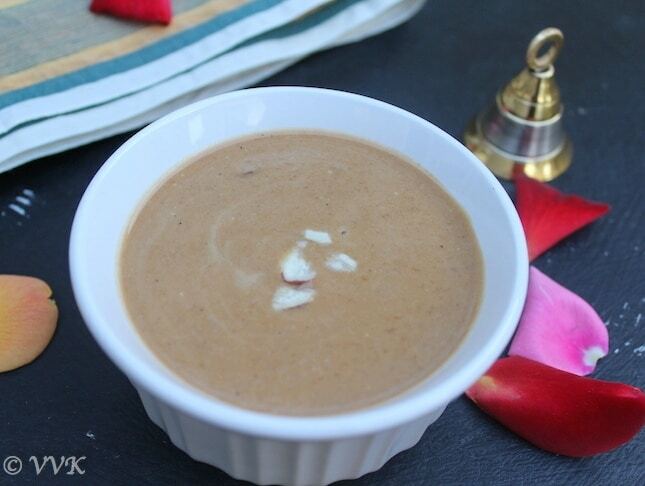 Very yummy Vidhya… I am into nostalgic..
Vidhya I had never had a jackfruit kheer before. This looks super delicious. I will give it a shot sometime next week.